These two expressions are very similar, they both basically mean if something happens. The main difference in use is grammatical. 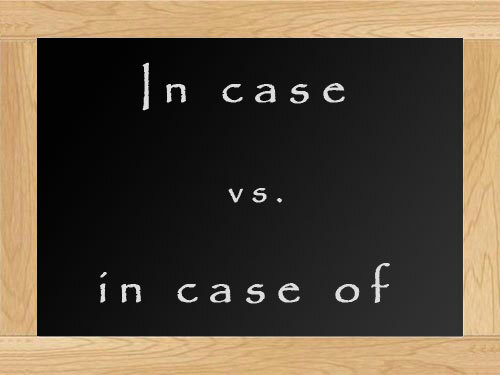 In case - to express that we are doing something in preparation for something which might happen. It is often used before before a pronoun or at the end of a sentence. Examples: In case you feel cold, take my coat. We don't want to be late so let's wake up early just in case. In case of - to say what we should do if or when something happens. It is followed by a noun. Example: In case of fire, ring the alarm bell.